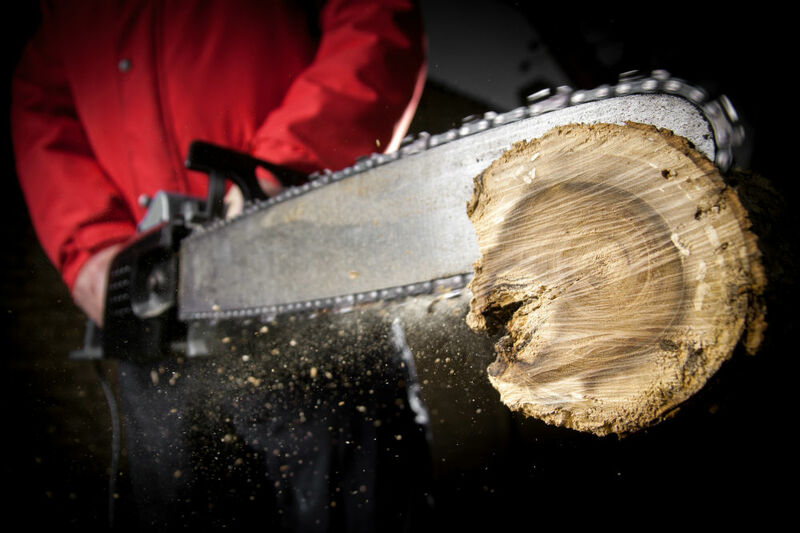 A battery powered chainsaw may seem to be a strange choice when you think about a power tool that needs to work hard. 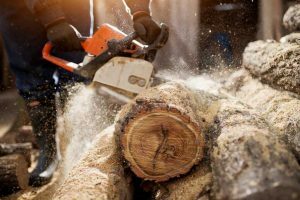 But in recent years manufacturers have started to create battery powered saws that can hold their own against traditional petrol or gas powered saws. We have selected 3 battery powered chainsaws for this review. 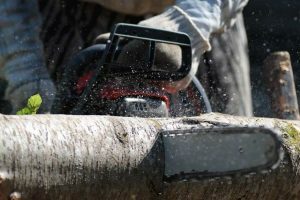 Take a look at what is available and perhaps there is a battery powered saw that will fit your needs. 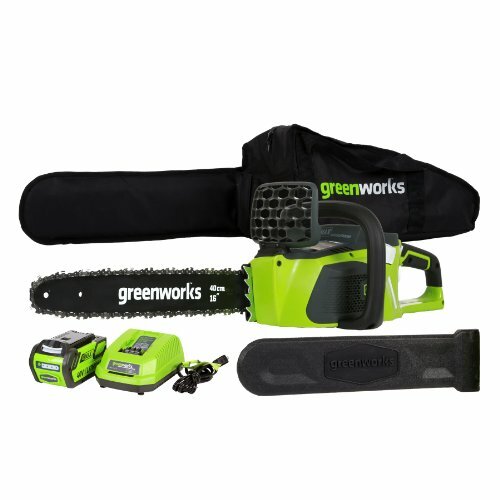 The GreenWorks 201312 G Max is our first contender in the battery powered chainsaw race. 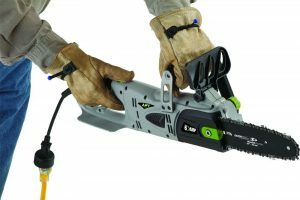 If you are tired of exhaust fumes an electric saw is your next best option. 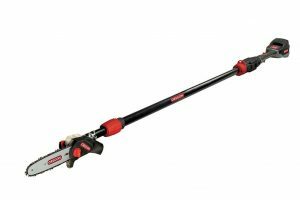 This saw has quite a lot of power and can work hard on medium to light types of jobs. 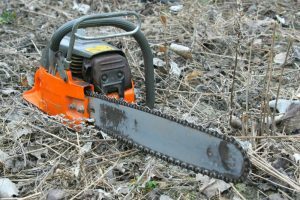 This chainsaw is lightweight, easy to use and has enough power to do a few medium and quite a lot of lighter jobs. It is durable and the battery recharges quite quickly. This saw is also designed with very effective safety features. 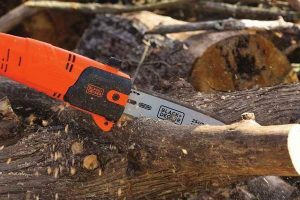 Black and Decker is a well known name when it comes to power tools and with the LCS1020 they build on their repertoire with a great battery powered chainsaw. It is compact and lightweight and perfect for the lighter tasks that you need to deal with. But how does it perform? We have the pros and cons so you can weigh them up. 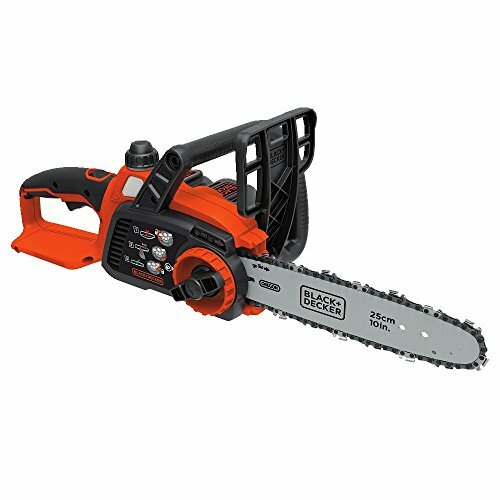 This is a nice compact little chainsaw for smaller jobs. 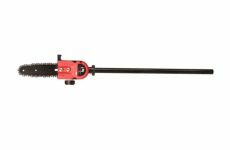 It is really suitable if you don’t like heavy cumbersome power tools and need a bit more power to get the job done. It is lightweight and well-priced, it won’t wake the neighbors and is even a little water resistant so it won’t mind a little drizzle. For such a small saw it really packs quite a punch. 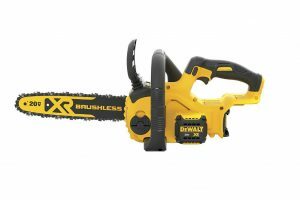 Our final contender, last but not least, is the DeWalt DCC690M1 brushless chainsaw. It is a saw designed for lighter work but it still has quite a powerful motor and battery to get the job done. It also has the benefit of a variable speed trigger. This saw by DeWalt is a well-balanced saw with a quick action trigger that really stops the blade immediately when you release it. 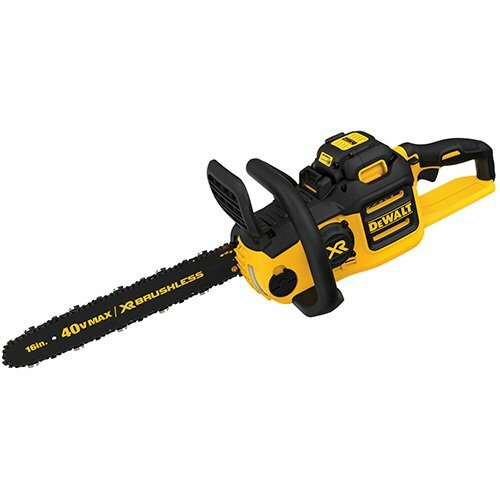 It is a very safe saw with a good battery life, but the chain does have some commitment issues and tends to work itself loose often. It is quiet but a bit heavy, and has a few issues with its oiler. All in all, this is a good mid-range saw with a powerful motor to get the smaller pieces of wood in your life sorted quickly. 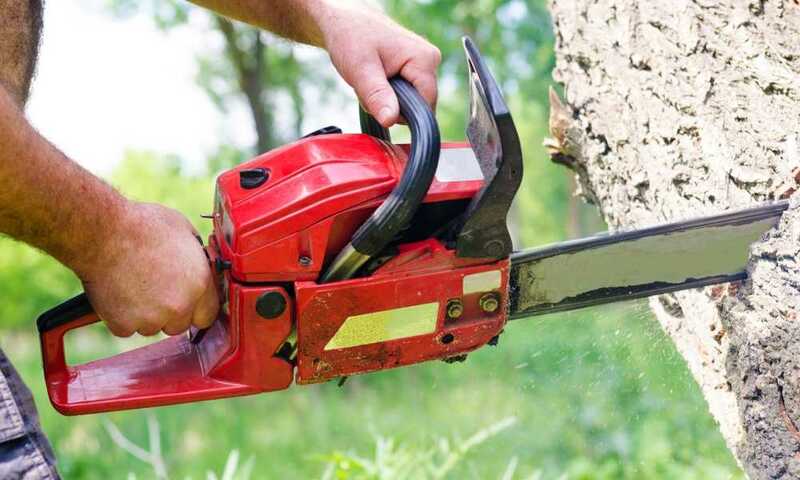 Each of these saws are great for light work around the garden or for cutting saplings and branches on your property. Our top choice is the Black and Decker just because it really performs well for such a light compact saw. That being said, there is very little to really push one of these saws above the others. They all perform very well for battery powered tools and work safely and efficiently. 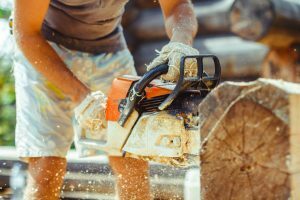 If you don’t need to do heavy work each of these will have a few good features to catch your eye.